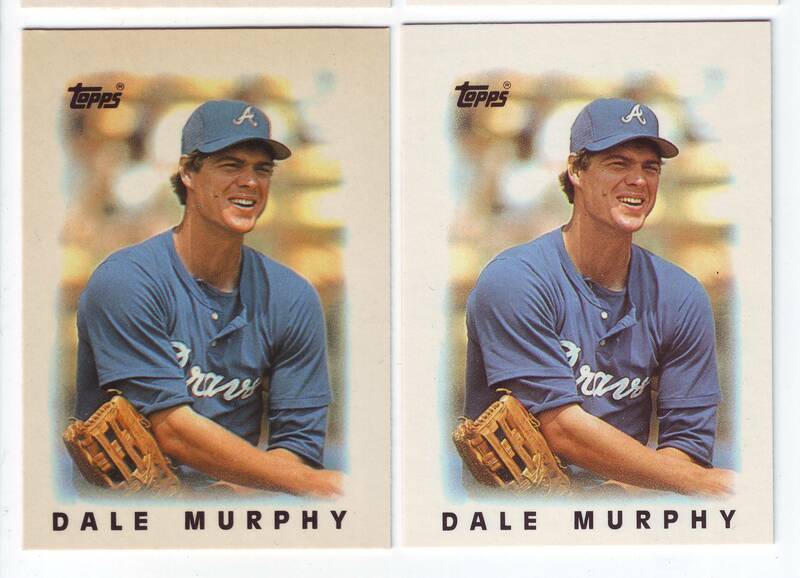 Thanks to the sharp eye of cincykid75 at the collector’s universe sports cards forum, there has been a lot of activity in the 1991 Topps Errors thread. 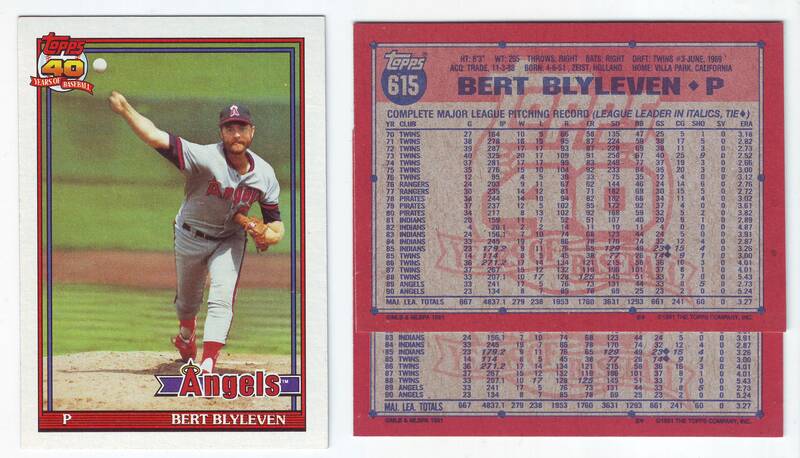 Cincykid75 discovered a variation in Bert Blyleven’s card #615, a pretty major variation, actually. One version has MAJ. LEA. TOTALS in a larger font on back and another versions saw it shrunk down to match the font size of the statistics and other type on back. 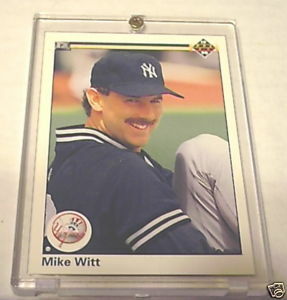 This awesome find had me digging through my surplus of 1991 Topps commons and errors boxes. 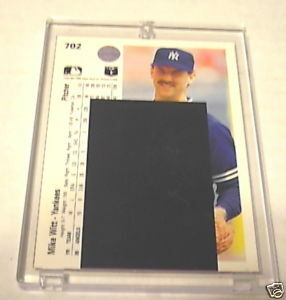 In the error box, I followed the logic behind the Blyleven card and looked at the bottom left corner of the back of nearly 5000 cards and was stopped dead when I noticed that Frank Tanana’s card #236 (already affected by an error) has a similar variation in the “269 with diamond” variety. 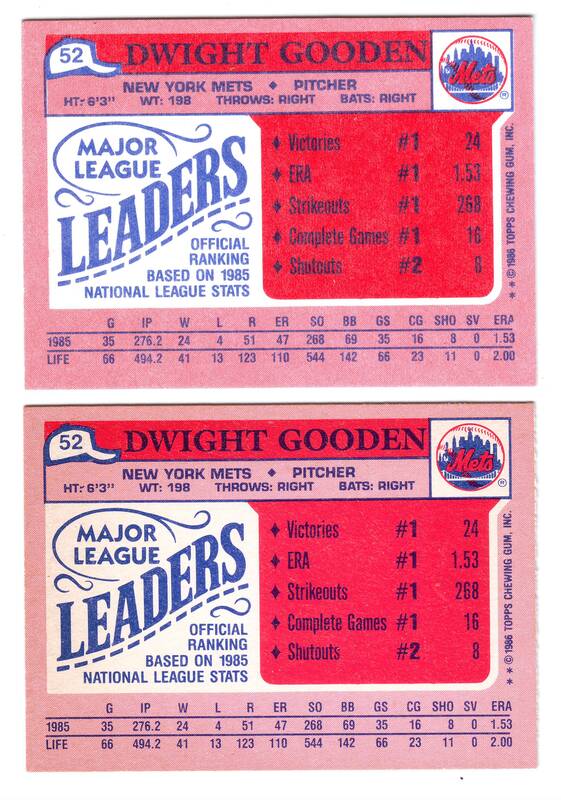 This leads me to believe that there are many more varieties on the backs of 1991 Topps cards. 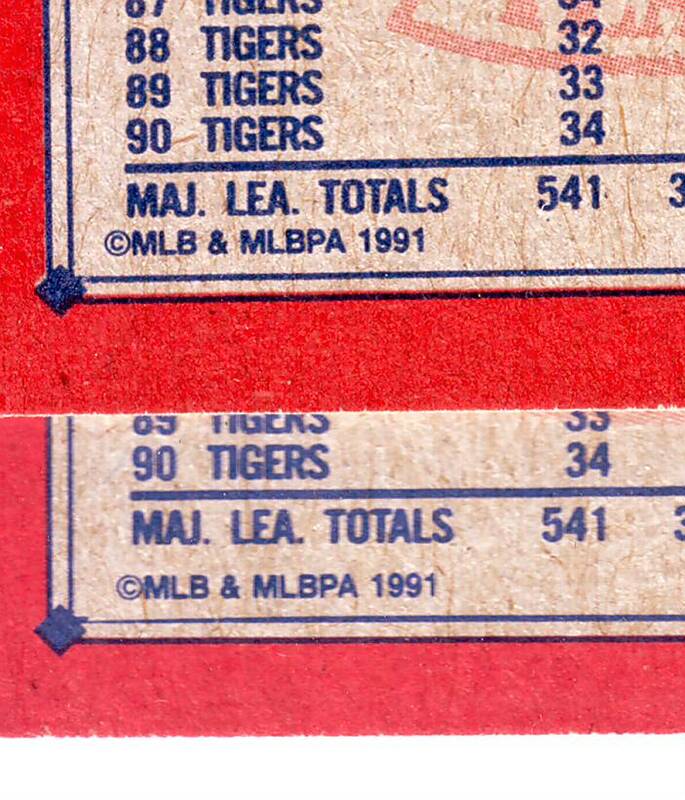 Though back-errors are usually less popular than front-errors, I think that the reputation the 1991 Topps set holds for variation collectors, makes it a very interesting challenge to uncover the others out there. 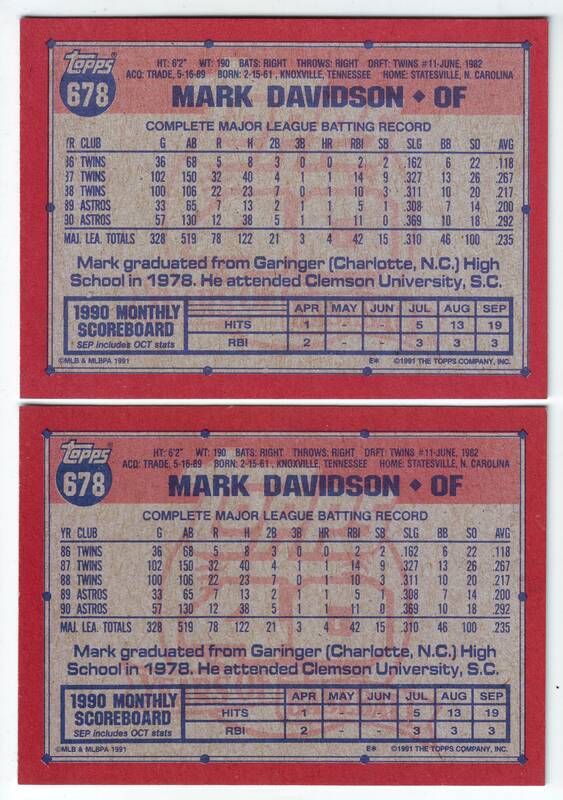 Mark Davidson’s card #678 can be found with the year digits in his stats “clipped” off at the left or with them fully printed. I’ve only found 2 copies of the fixed version to my 8 clipped ones. Mickey Morandini’s card #342 can be found with a green Phillies team logo on front or with it’s correct burgundy logo. A very strange-looking variation when viewed in person. And Rex Hudler’s card #228 seems to have originally been printed with a black line on front at lower right of the photo. 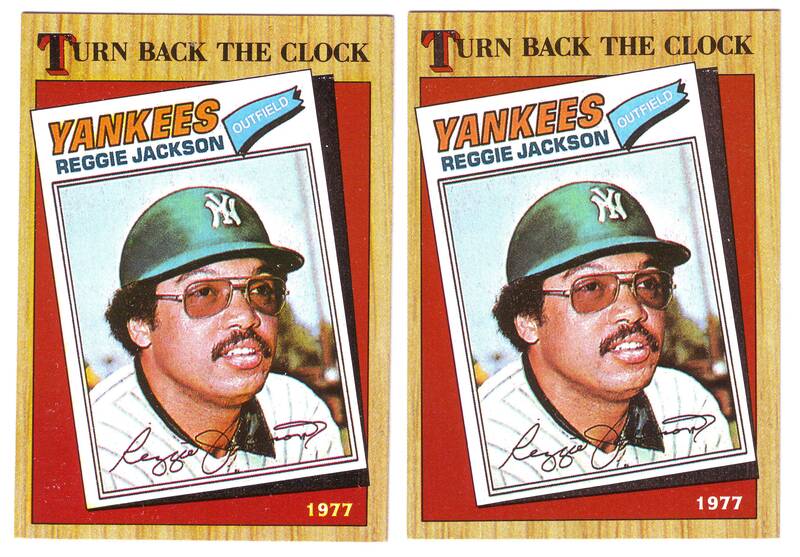 It looks as though Topps made a few different attempts to airbrush and remove the offending bar, as varying degrees of it’s correction have surfaced. I’m sure there are plenty more discoveries on their way soon. I’ll post the new stuff once it gets uncovered!